I haven't shared my "style" on the blog in quite some time and the place I most often share outfit photos in on Instagram. Here's a few snaps of my maternity style and also some items that I've recently ordered and haven't worn yet. 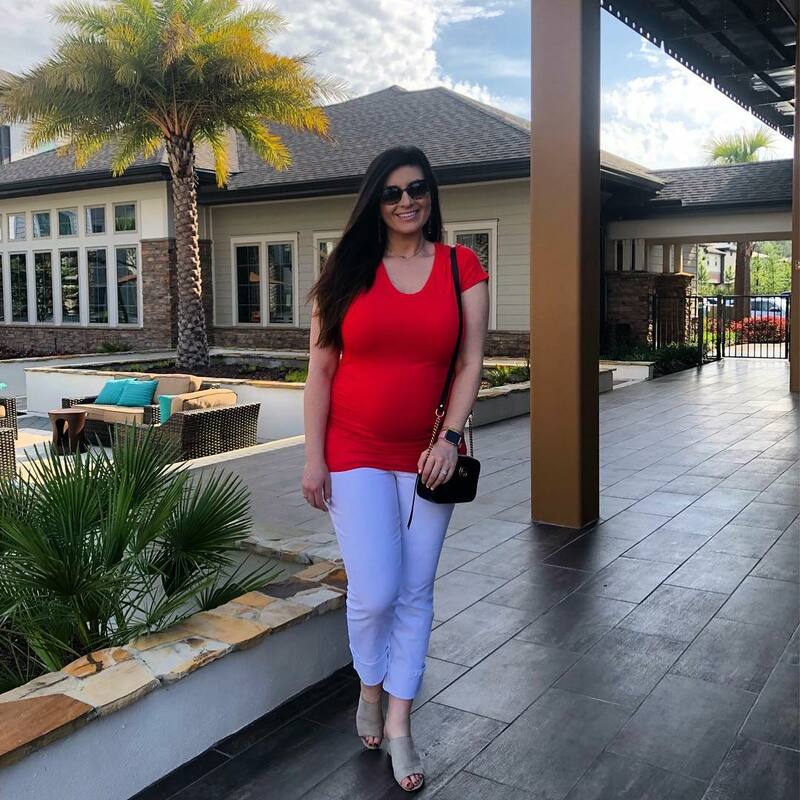 I can't say that I have a defined maternity style, but I know that I gravitate towards more form fitting versus loose fitting and that's how I dressed BTB (before the bump)! Loose fitting clothes always made me feel like I appeared bigger than I was, so I've been taking that same mentality while picking out clothes now! 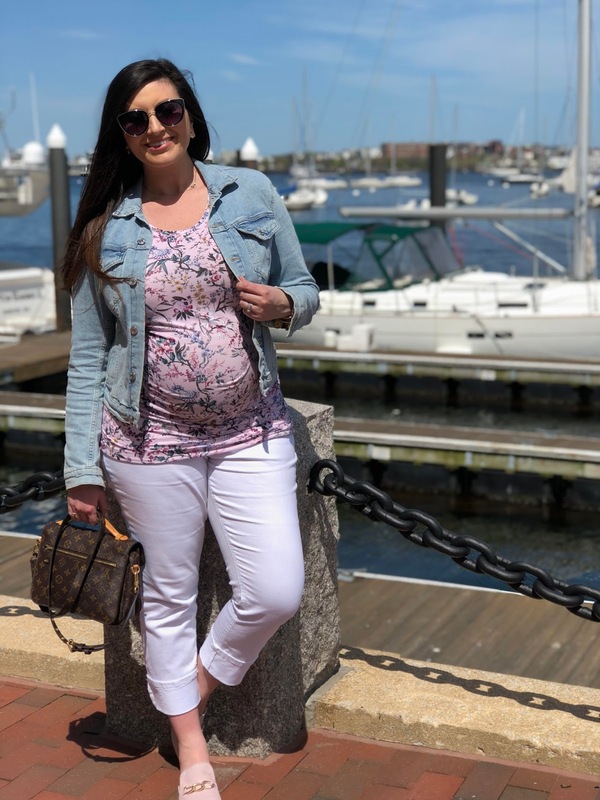 Denim Jacket || Floral Top || White Jeans || Slides || Sunglasses What I've found is that maternity stuff in stores is almost non-existent so you're pretty much forced to shop online! Here are some of my recent purchases! 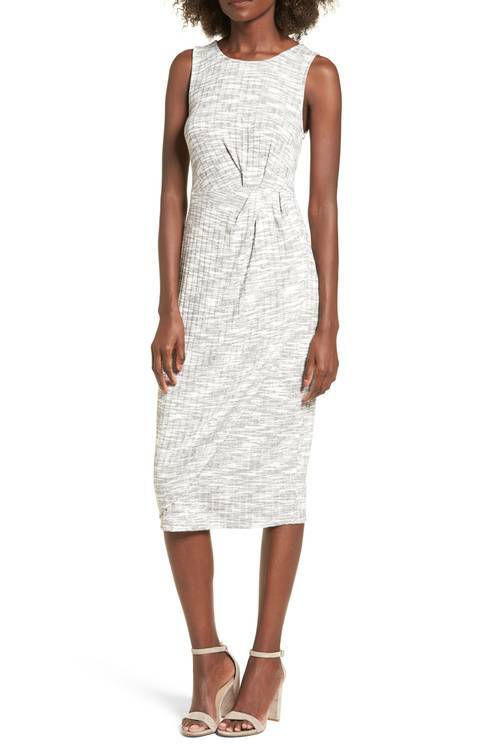 This BP dress is non-maternity and currently 40% off - so it's under $25! I sized up but I think it's going to be great through the fall as well with booties and a jacket! I've seen a few bloggers rave about this tank dress and while it was on sale I decided to pick it up! I think it would be great post baby as well! Give me all the stretch :) It's currently 60% off! 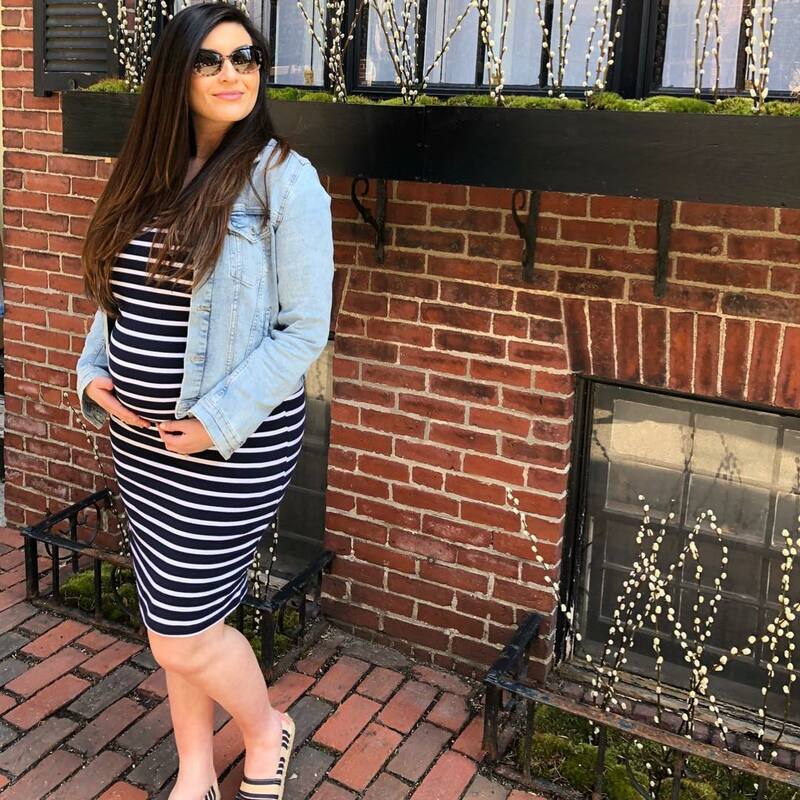 I love H&M for their affordable options and this Mama Jersey dress is going to be perfect as it starts to heat up here in Boston! I went for the pink color, but there three other options! Even though I think maternity fashion overdoes it on the floral patterns, I did like my other top fro m H&M - so I ordered this pattern as well. It's stretchy, covers the booty and to be honest, I'll probably wear these after pregnancy as well! I am on the hunt for a baby shower dress - so if you have any suggestions of non-flowy dresses, please send them my way! You look so cute in all these outfits, but I think that the pink top and mules with the denim jacket is my favorite! So fresh for spring and summer! I've been eyeing that non-maternity midi dress for myself. It's such a great price! Love your style with the baby bump! I'm a fan of more form fitting pieces too. Can't wait to see what you find for the baby shower! Love fitted instead of flowy! Super cute choices!! Hands down, BEST looking mama to be in Boston!!!!! xo Love these looks, so cute and wearable! You have great maternity style Biana! I love all of these looks and you look fabulous! 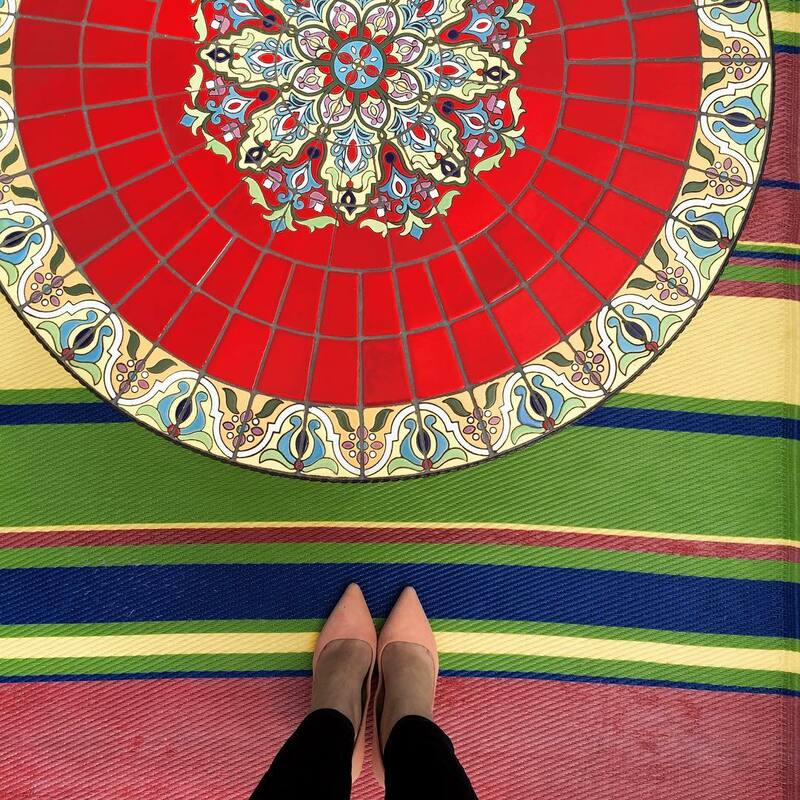 Love your IG style posts and you are just rocking your adorable baby bump! That striped dress is so darn cute and I LOVE your other dress picks!! I absolutely love your maternity style! You are gorgeous! Lots of cute outfits! I love that you show off the bump with the more form fitting clothes! I'm all about form fitting bump clothes! You look adorable!! I love all of your insta pics! I love your bump, it just keeps on growing. So exciting!! I think it's so cute to wear pieces that emphasize the bump! Love your bump style mama! You look wonderful... hope you're feeling good too! I seriously love pink and red on you - killin' it!! You have the cutest little baby bump and I'm loving your style, Biana! Your pregnancy style is the cutest, lady- classic with some feminine elements, I love it! You are so cute with your bump! Love your classic style! you are the cutest with that bump!! The cutest growing bump! I looooved my Rachel Pally dress I wore to my shower... a little pricey but so worth it! You are rocking that baby bump, girl! Seriously, you look fabulous and you are so stylish! You look so Gorgeous! You have always had amazing hair but it looks even more amazing right now. It's like doubled in volume and shine. Finding dresses is always hard but even harder when you are pregnant. Alot of the girls I work with have found dresses at Anthropologie and have just sized up. Hope this helps. Your bump style is just so cute!! I LOVE your hair curled too, it's so beautiful! You are just the CUUUUUUUUTEST! You look so amazing Biana!! 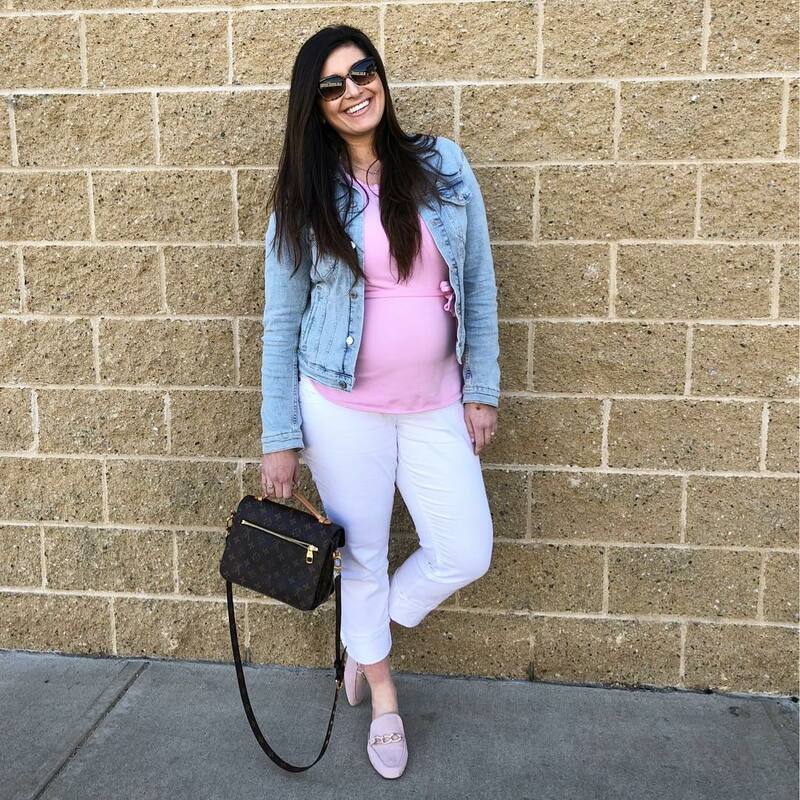 Love your maternity style! So many cute looks! Love your style! Love your bump style! Agree on the tighter styles... I hate having to order everything online I always seem to get the sizing off. I love how you’re rocking your bump during this pregnancy! And I’ve heard great things about that tank dress too although I never bit the bullet and bought it when I was pregnant. You have great style! I love your jackets as they are totally practical for spring weather! I am loving all the dresses you got. So cute and perfect for your cute belly!! You are rocking pregnancy style girl! H&M Maternity is such a great resource! You look amazing in all of these outfits. The second one is my favorite! I absolutely LOVE your maternity style, girl! You look so chic, stylish, cute, and comfy; all of which are key for a momma to be! 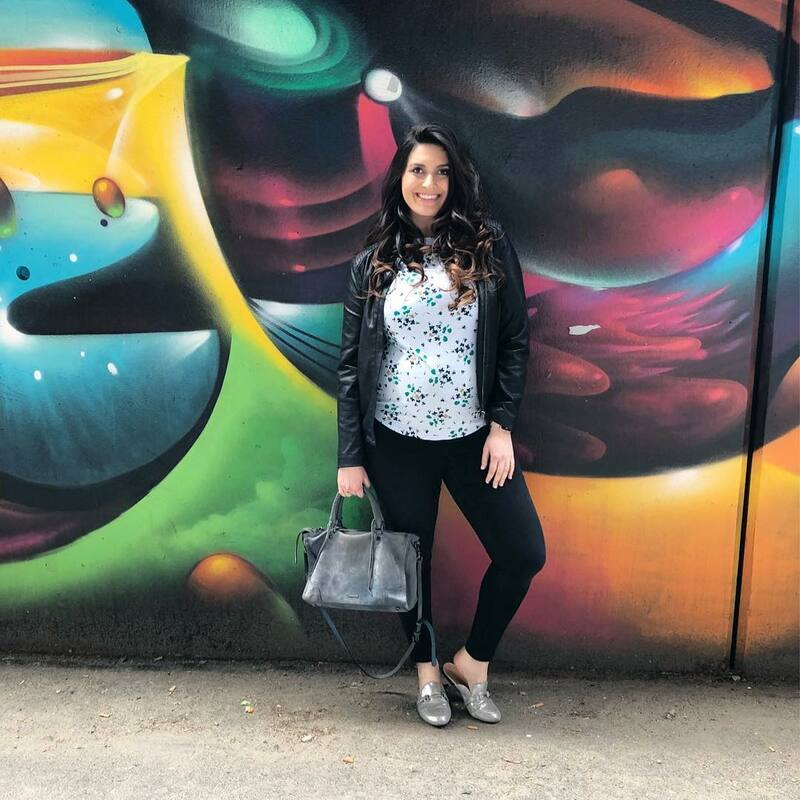 I love how you often match your tops to your shoes and play around with prints and textures, things that I feel many pregnant women shy away from because they fear it'll make them look bigger, but by wearing former fitting clothing, it can be done. This is something I did as well, form fitting dresses with a comfortable stretch were some of my go-to's. Thanks for sharing, beautiful, and I hope you and baby girl are having a great week! You always look cute in your pics. I will most likely dress the same as you as I prefer tight fitting clothing over loose fitting normally as well. You are the cutest! You look beautiful in every photo. One of my girlfriends just found out she is pregnant not too long ago so I'm going to have to share with her your bump style! I haven't been on IG as much lately so I'm glad to have caught your stylish post here, friend! Wishing you a beautiful first Mother's Day with your precious little one on the way!! Hope your weekend is a lovely one! xo! You seriously have the best pregnancy glow! I always sported the form fitting dresses as well. It gave great additional support. Love your bump style! You are glowing, girl and look so beautiful and happy! Your style is so great babe, love your outfits! 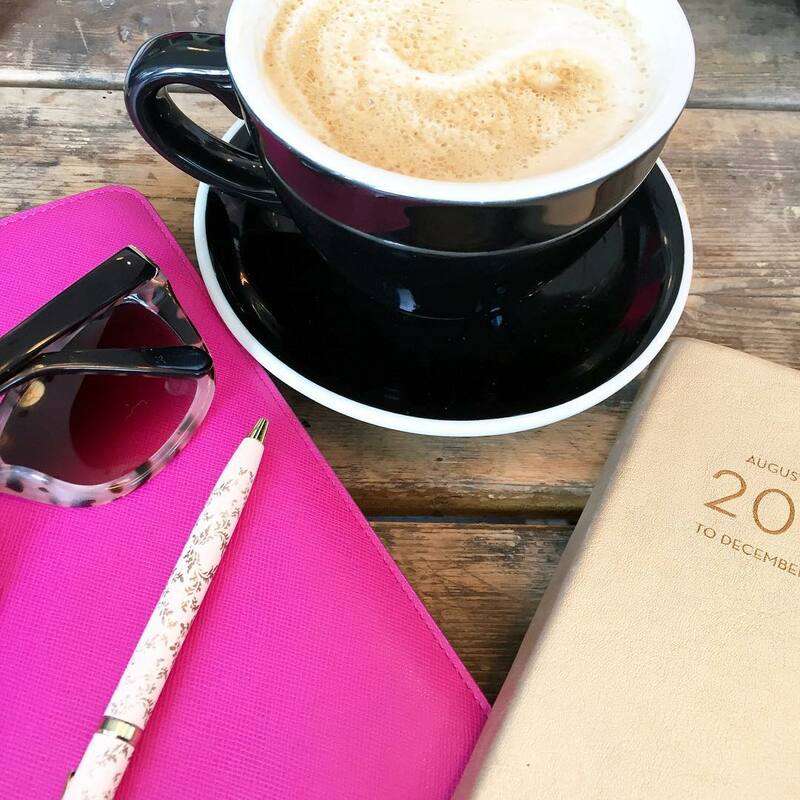 This is such a cute little roundup post and I love all of these photos - your style is so gorgeous! You have the cutest bump babe! Lovely outfits you got there, especially the 1st and 2nd.